A post on the Feast of the Ascension from our Bible Study Forum. 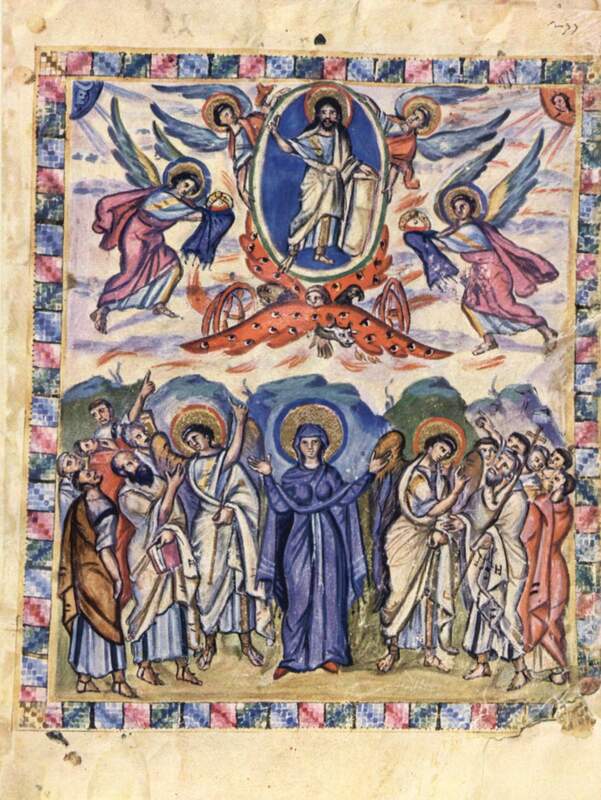 Master of the Rabbula Gospels. During the sixth century, artists were approximately eight hundred years away from being able to create pictorial depth through linear perspective. In addition to technical limitations, artists faced decisions about how Jesus would be depicted and how angels would fly. How would a person’s inner light be represented? Creating a composition required decisions as well; how was it to be organized? A prayer for the caring heart.